The WR-24 ‘HawkEye’ is a follow-on aircraft based on technology from the WR-6. Like the WR-6, it is used to conduct atmospheric surveys and data collection. However, it’s service ceiling is much lower due to it’s lack of afterburners on it’s engines and greater gross weight, and has been specifically optimized for stable and efficient flight at 9,500 meters. 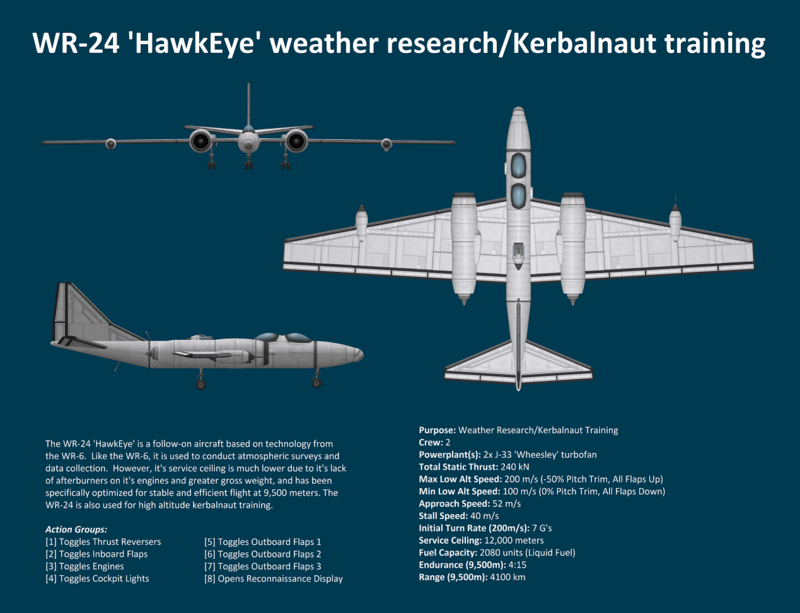 The WR-24 is also used for high altitude kerbalnaut training.